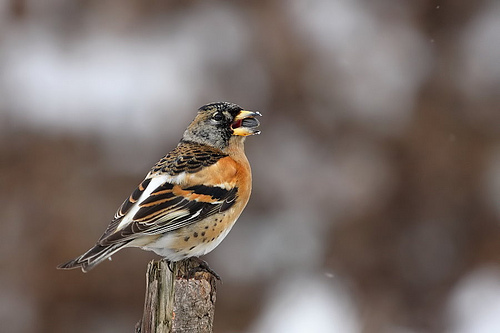 Bramblings breed in Scandinavia and visit western Europe during the winter season. They sometimes fly in groups, together with Chaffinches, and it is difficult to distinguish the two species. 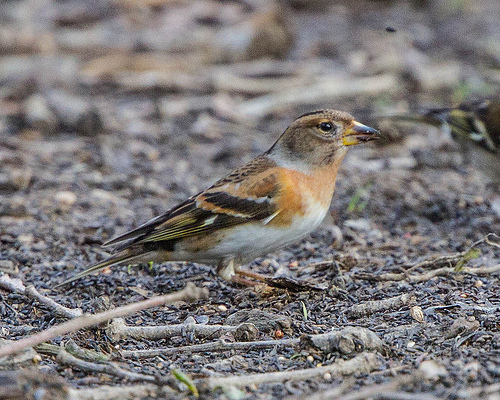 The Brambling has an orange band on the shoulder, the Chaffinch's band is white.